The Squizz 2 Baby Stroller was designed having the parent’s need in mind. This baby stroller can be used from birth to toddler. During the baby stage, the stroller can be adapted to fit a baby seat (not included) that fits onto an ISOFIX base (also not included). Once the baby is too old for the baby seat it converts back to a stroller. 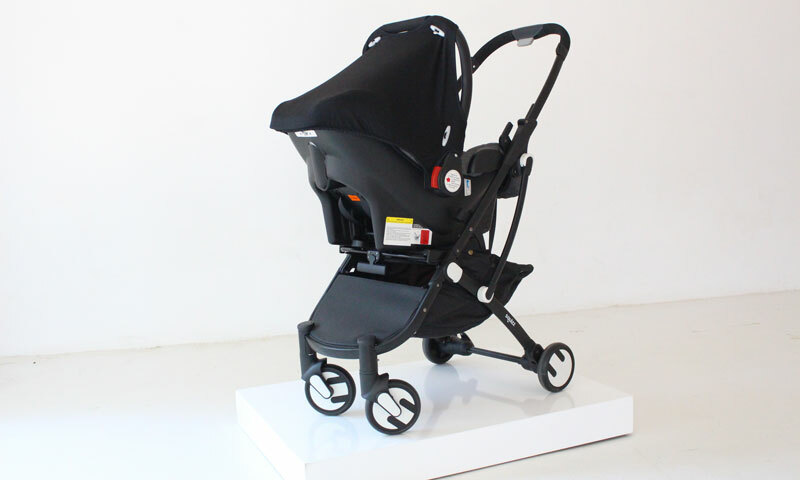 The Squizz 2 only weight 6.7kg and you can fold up the stroller with one hand in 3 seconds. It folds up so small it can fit into the overhead luggage compartment of an airplane. It’s stylish and one has the choice to fit bigger wheels if needed. We live in a world that is becoming faster by the day. And we don't want to struggle on a daily basis. The one essential item that every parent will buy is a quality baby stroller. But this is also one of the most difficult tasks as there are so many choices. The Squizz 2 was developed by a mom for moms. We tend to forget that the mother will be using the stroller most of the time and that is why you want a baby stroller that is practical. small and light weight. 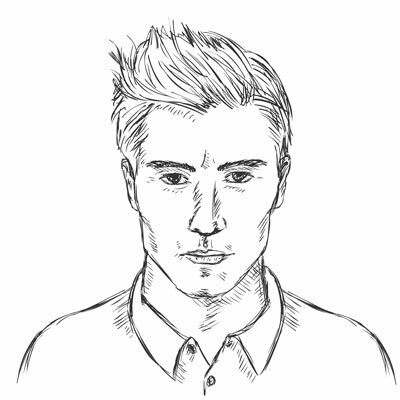 If you put this 3 essential criteria's together you end up with the Squizz 2 baby stroller. The Squizz 2 is the ultimate travel stroller and therefore each stroller comes with a carry bag. Yes you can put the stroller in the bag and either wheel or carry it around. 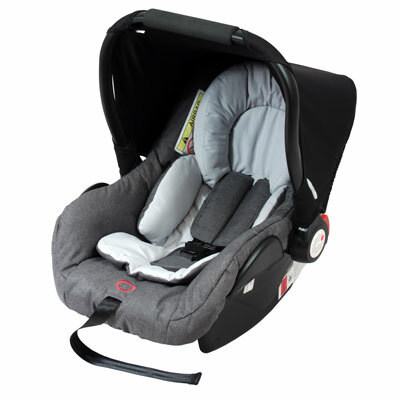 For the first 6-10 months you will be using a stage 1 car seat and the easiest way to get your baby in and out of the car is to fit your car with a IsoFix base. In South Africa we love our vehicles and our wheels. 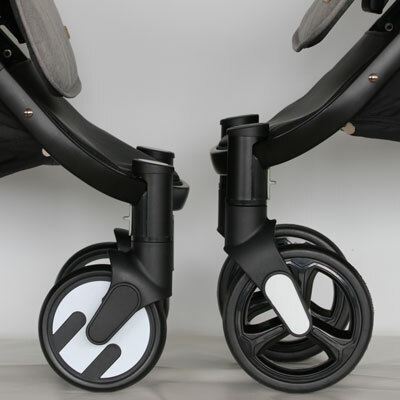 You therefore have the choice to buy bigger wheels for your Squizz 2 stroller. DESIGNED FOR BABY – Respect of the newborn’s comfort with a compact and light stroller.Thought Up for Parents – One hand folding and steering, big basket. Everything is thought off to facilitate easy everyday life for parents. Thought Up for Grand Parents – No need to bend over with the one-hand folding. Compact, light stroller that stores easily. Travel with Squizz – Once folded, Squizz is compact, small and light. Easy to transport in a plane or in the boot of the smallest cars. Easy Baby Generation – The Squizz is designed for the new generation urban parents and babies who are on the go and that travels! 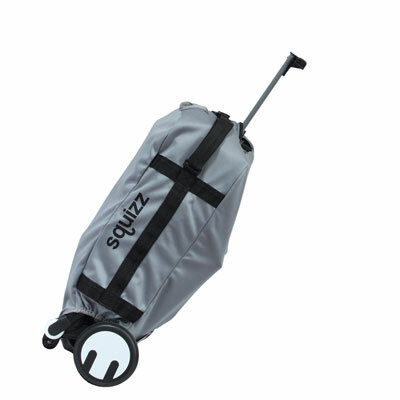 Squizz was designed in accordance with IATA standards for airplaine hand-carry. This is a really convenient stroller. 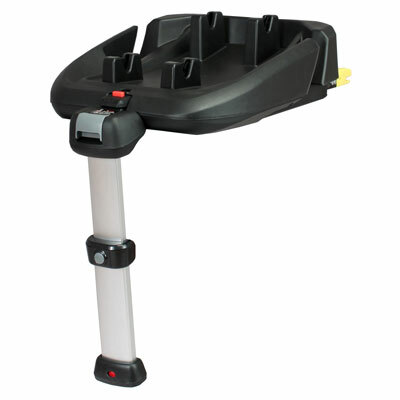 It has wheels when folded so you have the option to not just carry it on your shoulder like a bag but also to wheel it like a wheeled luggage. It fits well on cabin overhead bins. Can be folded and unfolded with one hand. When folding, you don't need to bend down and look for the catch like in other strollers. Just use the same button you use to open it. After doing much research, I decided to get this stroller and it is indeed a good buy. 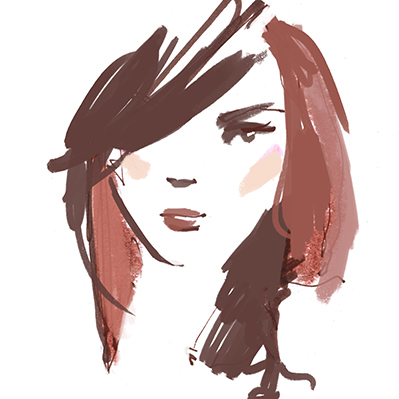 I love the fact that it is easy to manoeuvre with one hand and folding it is a breeze. I also like it being not too bulky. I didn't use for travel but it has proven to be a lifesaver in terms of day to day bringing my 10 mth old baby commuting outside our place. This is very compact stroller and the wheels are very smooth. Recommend for any new mom as this is by far the most practical stroller on the market!